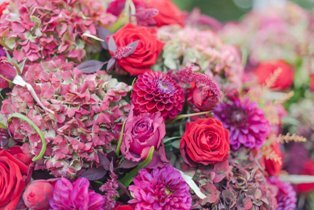 The start of the new season has not only seen our diary explode as events pick up again after the summer, it’s also seen the reintroduction of those rich, autumnal tones. Lots of reds, plums and rusty oranges and of course, golden foliage. 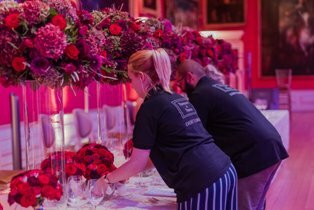 In one week alone, we delivered 9,347 stems of flowers to events, 4,500 of which were red roses (you read that right, four THOUSAND, five hundred!). 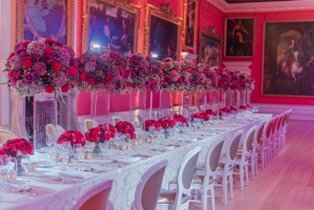 The Pinstripes and Peonies team were definitely seeing red that week, but in an awe-inspiring, warm-and-cosy kind of way. With thanks to the lovely Flo Brooks for capturing these stunning images.